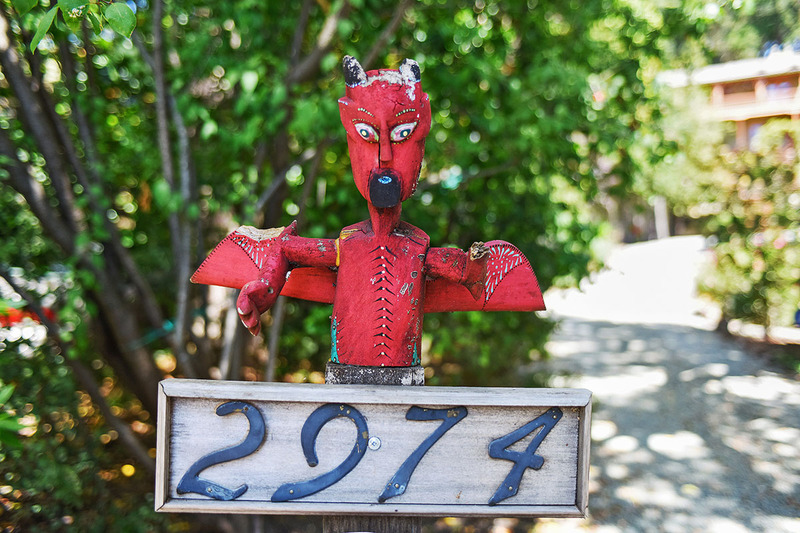 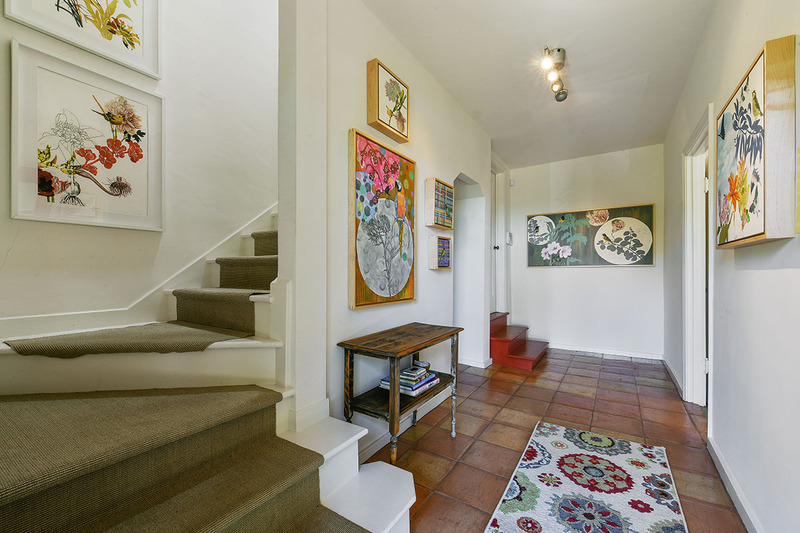 Spectacular setting for this magical 3+ bedroom 2 bathroom home and detached artist’s studio situated on over half an acre. 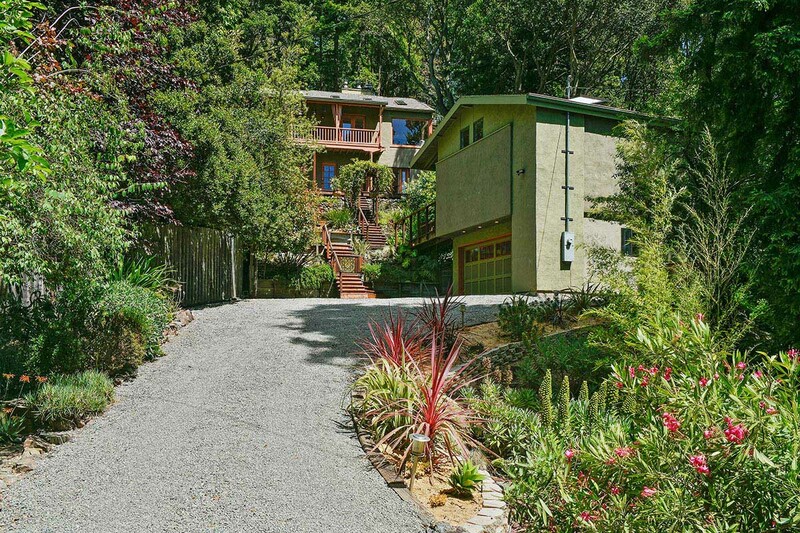 The property is set back from the road up a private gravel driveway. 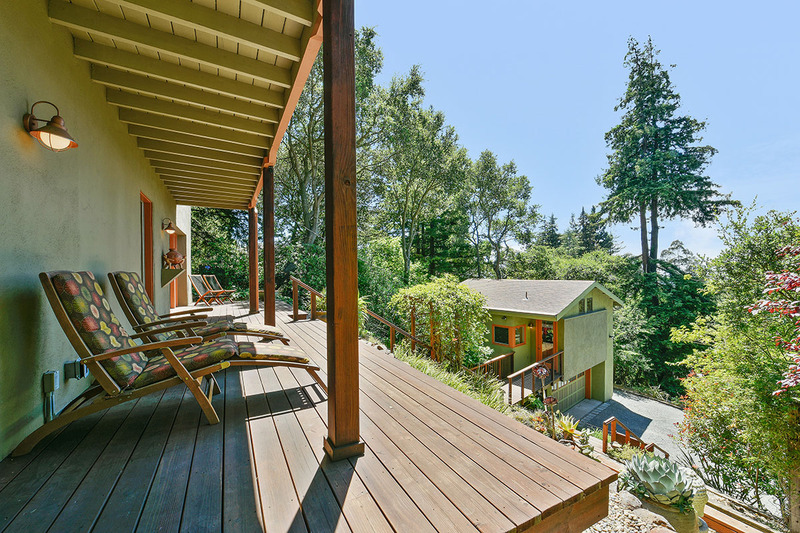 A true nature lover’s paradise with terraced gardens, mature trees and multiple patio spaces for relaxation and contemplation. 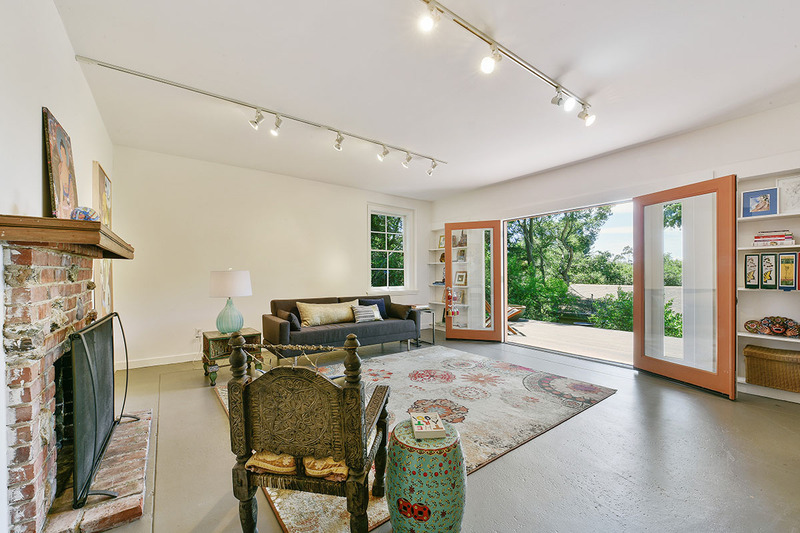 The living area has picture windows which look out onto Bay and bucolic views, doors onto the exterior balcony, vaulted ceilings and copper hooded gas fireplace. 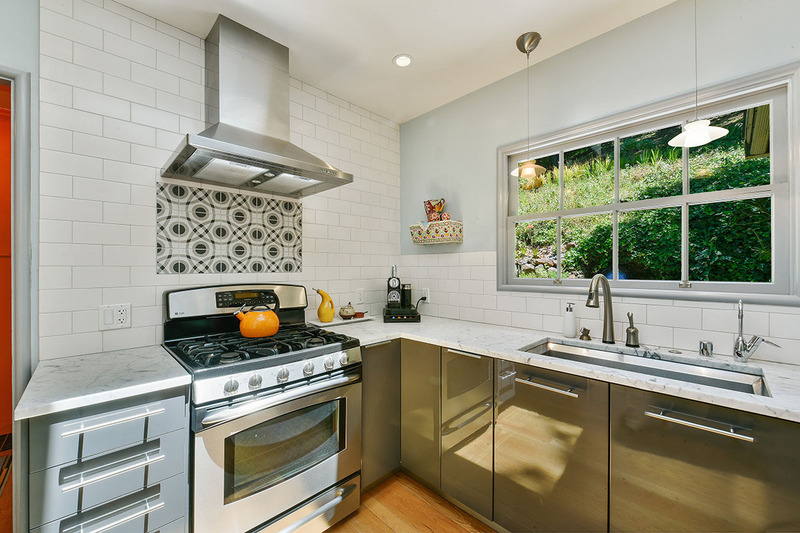 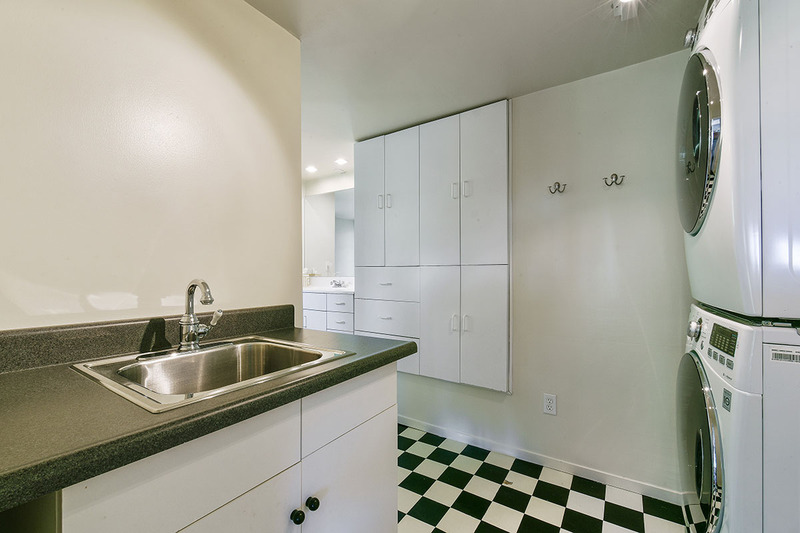 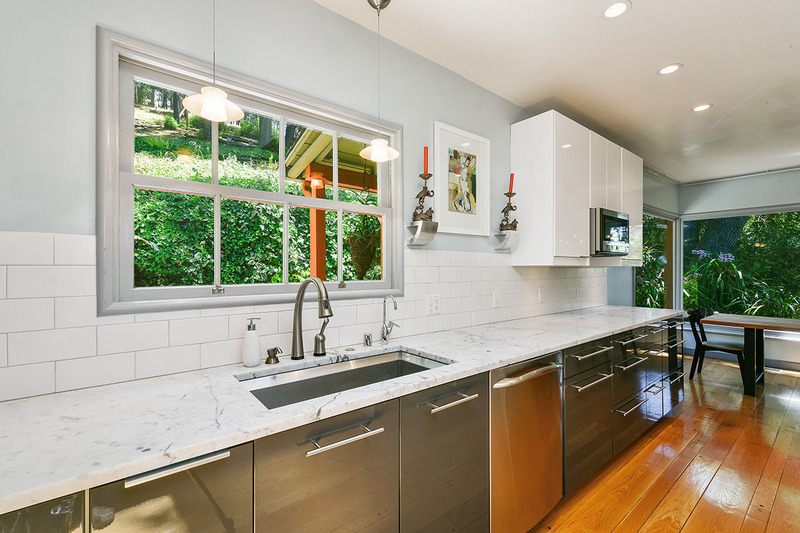 The updated open kitchen has Carrera marble countertops, plenty of storage and stainless steel appliances. 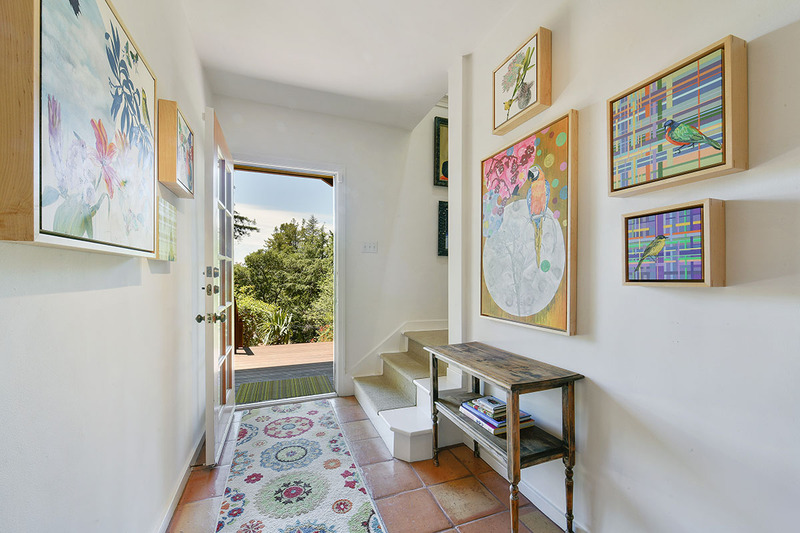 Downstairs the family room has French doors opening onto a large deck, and the third bedroom has an ensuite bath and separate entrance. 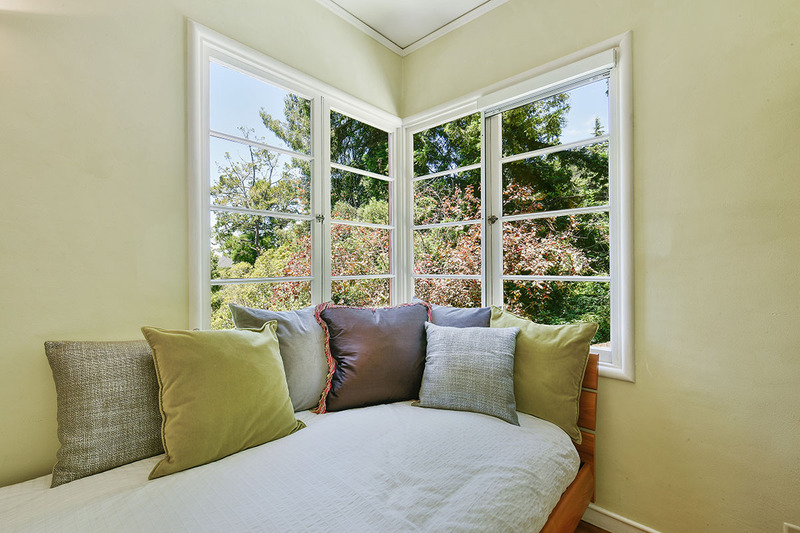 Wake up to birdsong and magnificent views of the gardens and Bay. 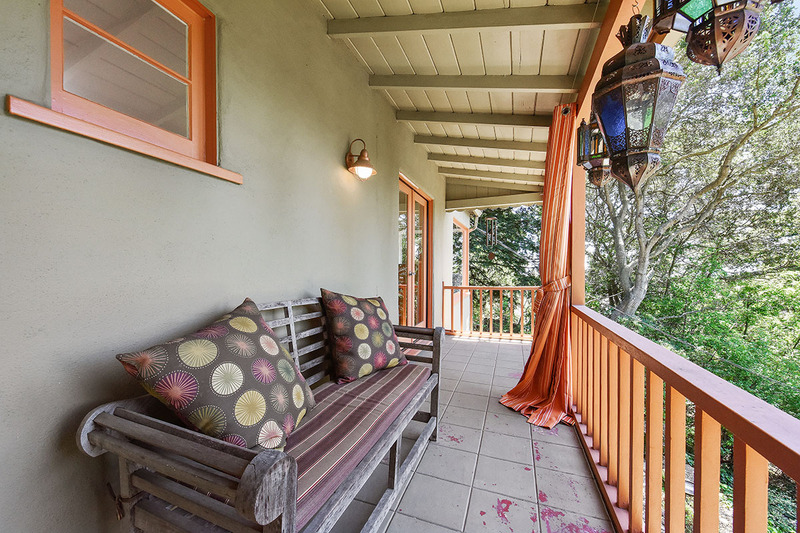 Step out onto the balcony to enjoy the morning air! 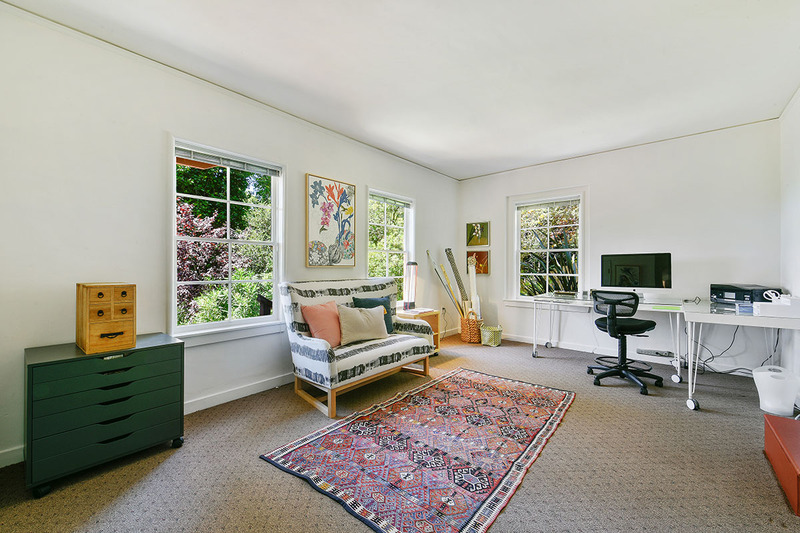 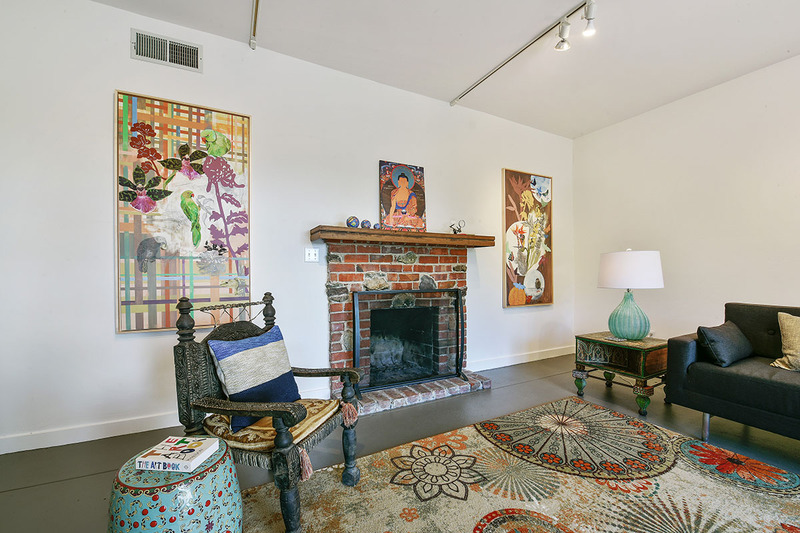 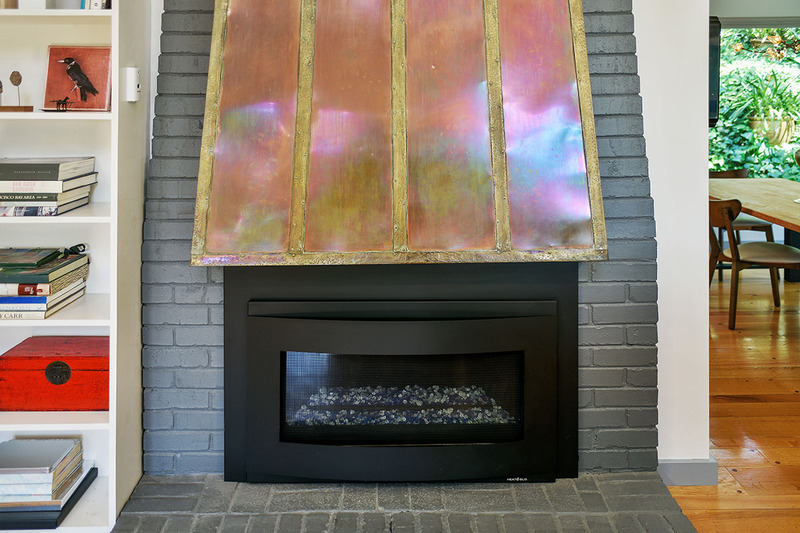 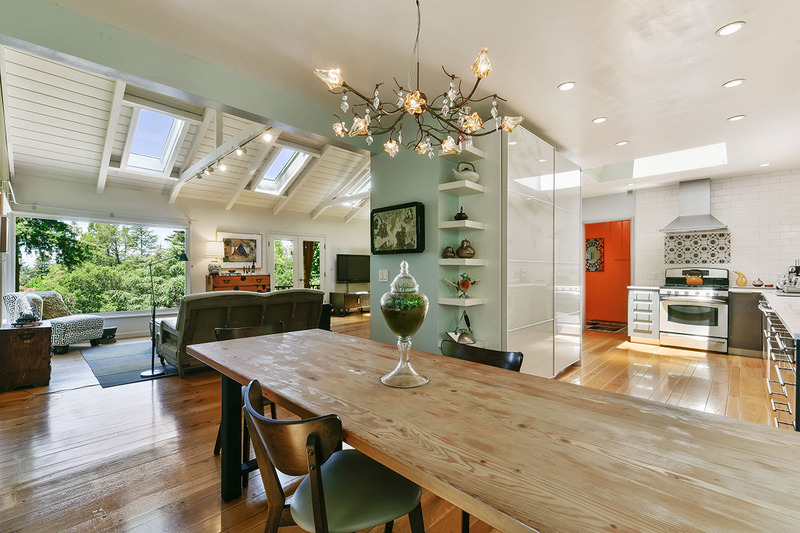 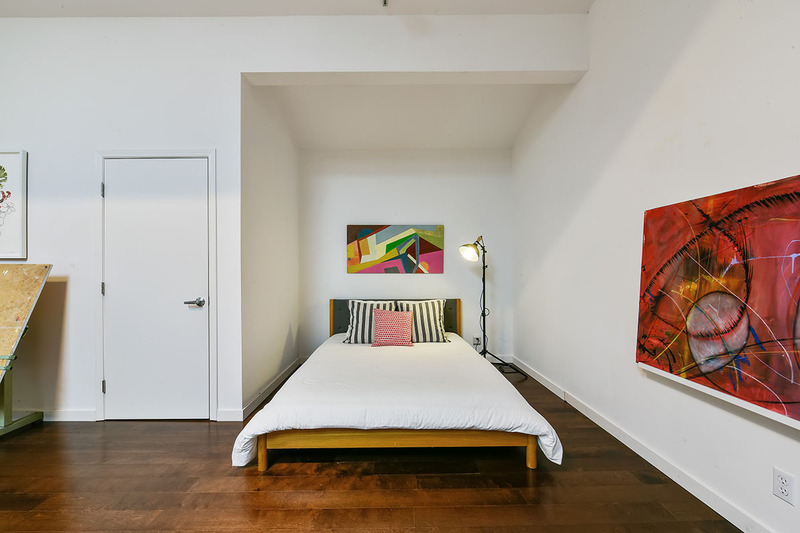 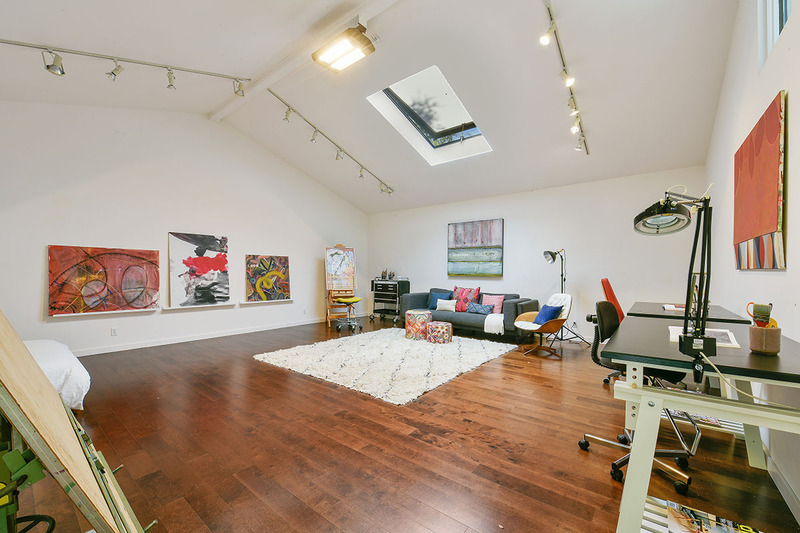 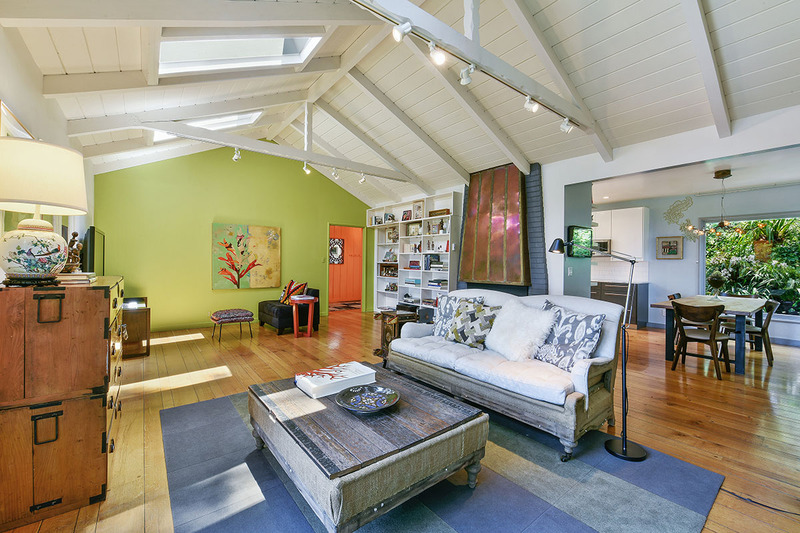 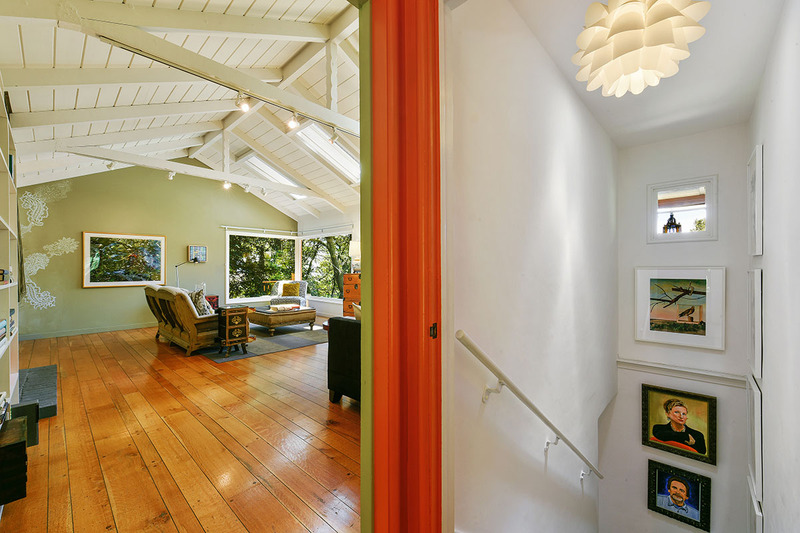 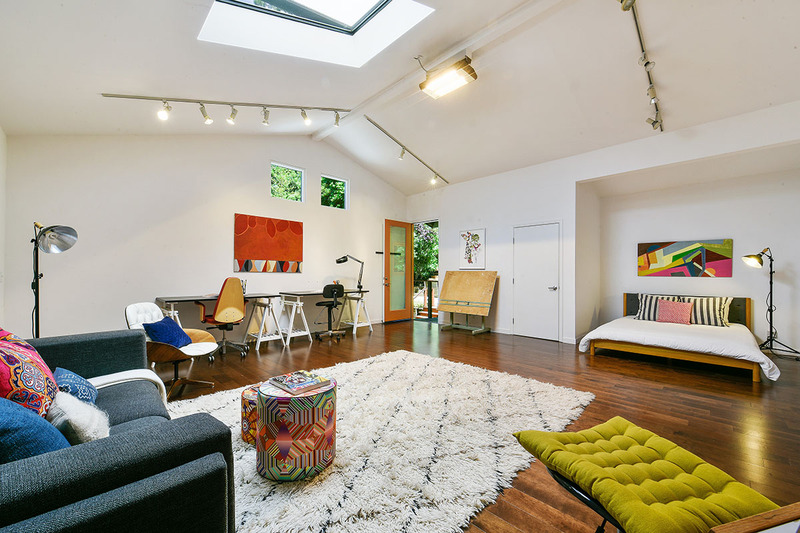 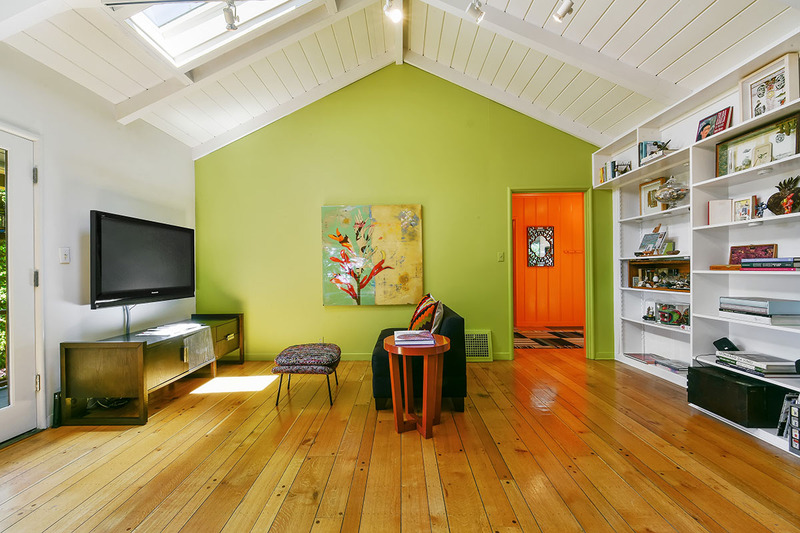 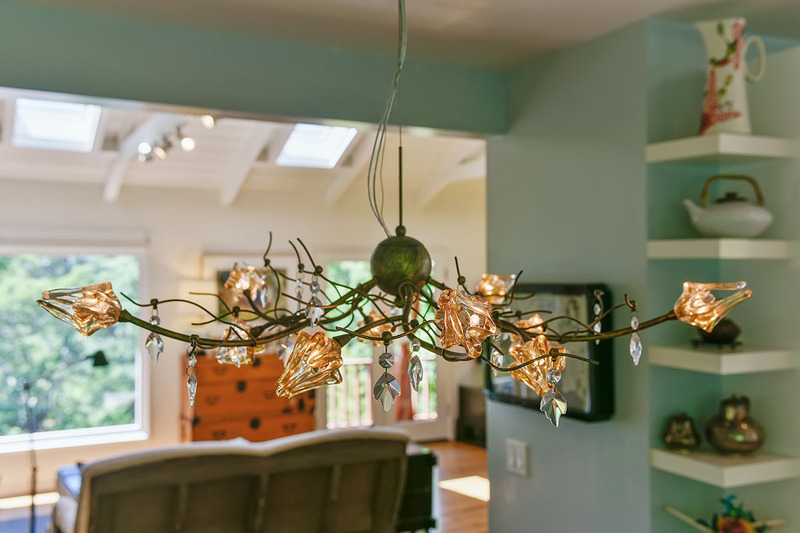 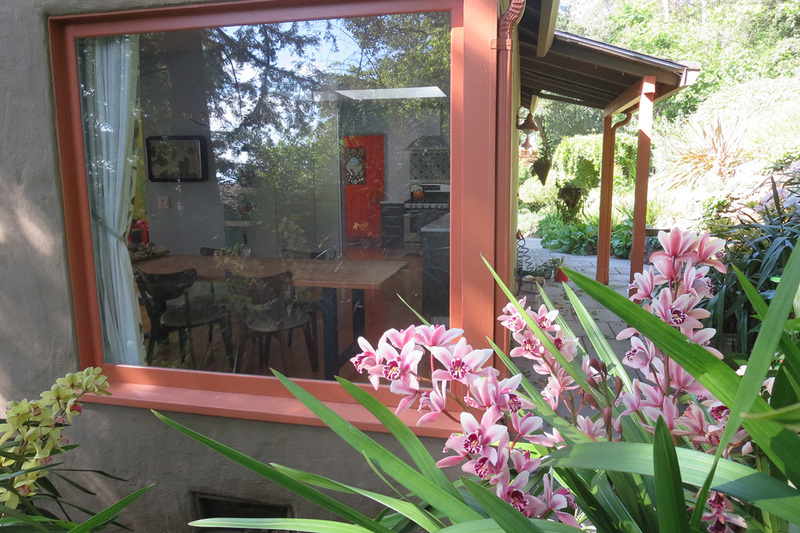 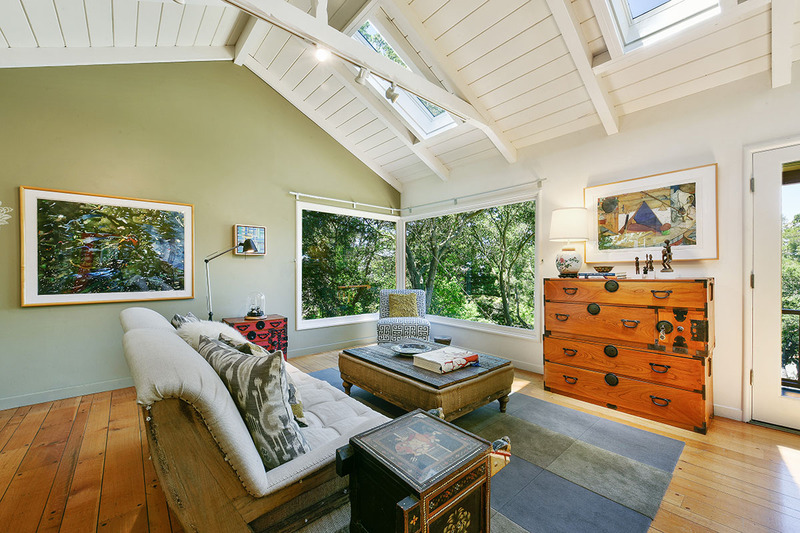 The detached artist’s studio has high vaulted ceilings, great light and a two car garage below. 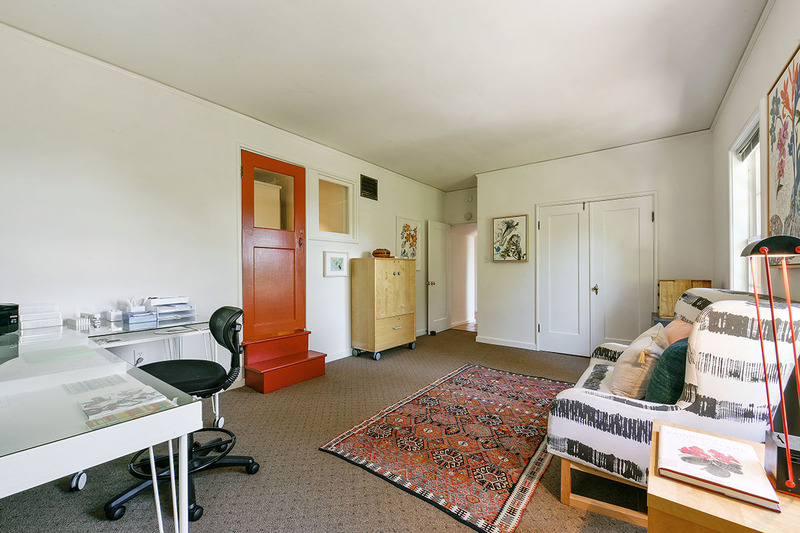 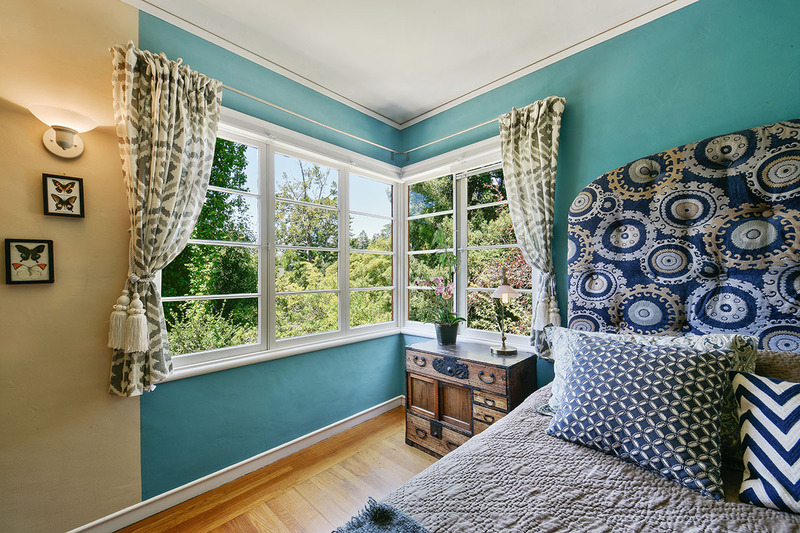 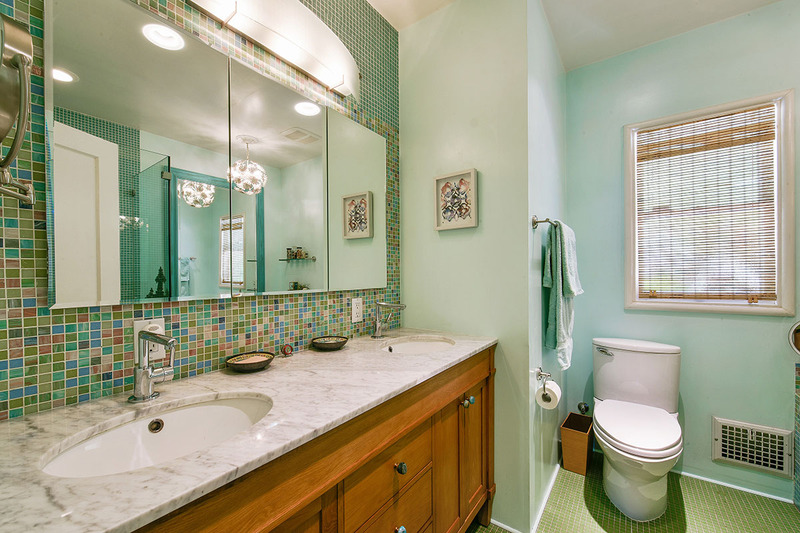 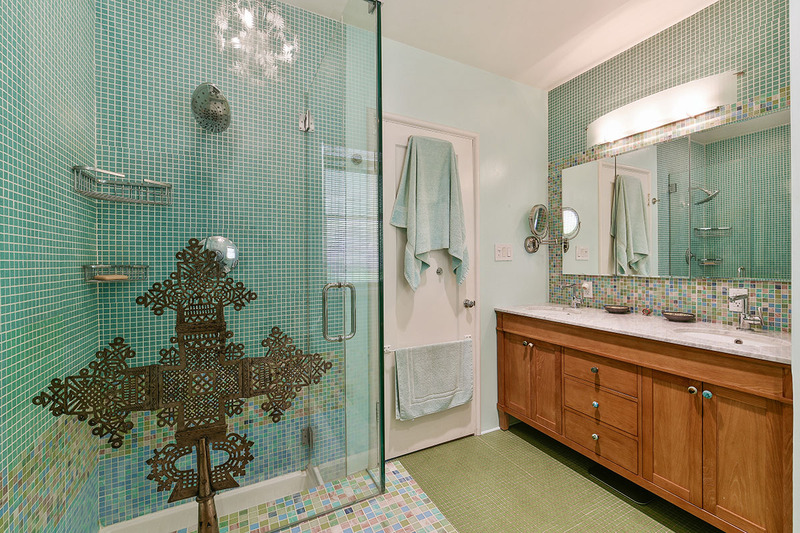 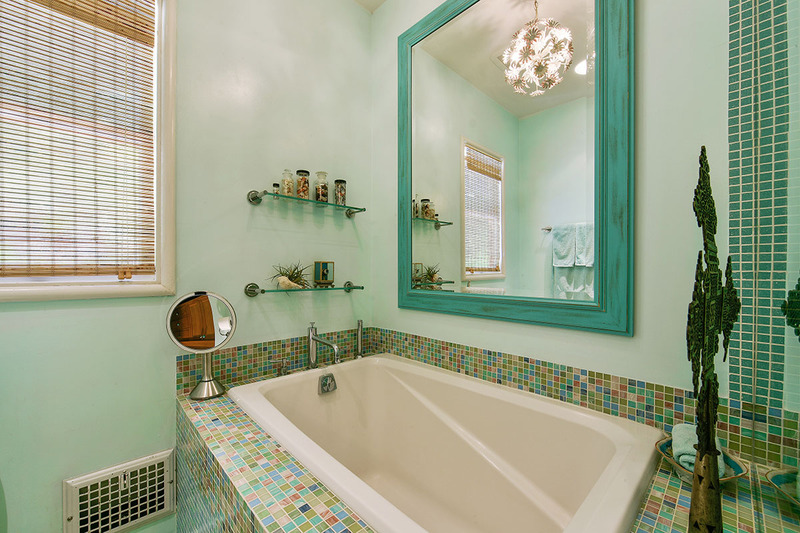 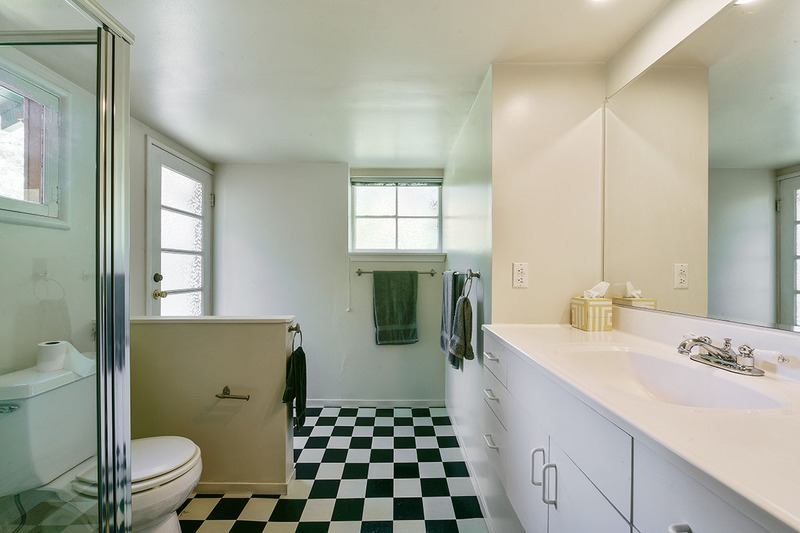 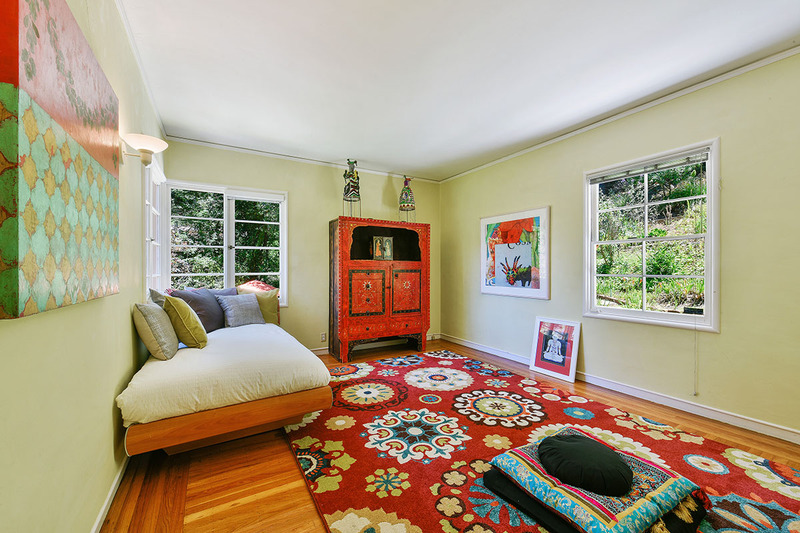 This fabulous space is plumbed with a ½ bath and perfect for creative work or a generous guest suite. 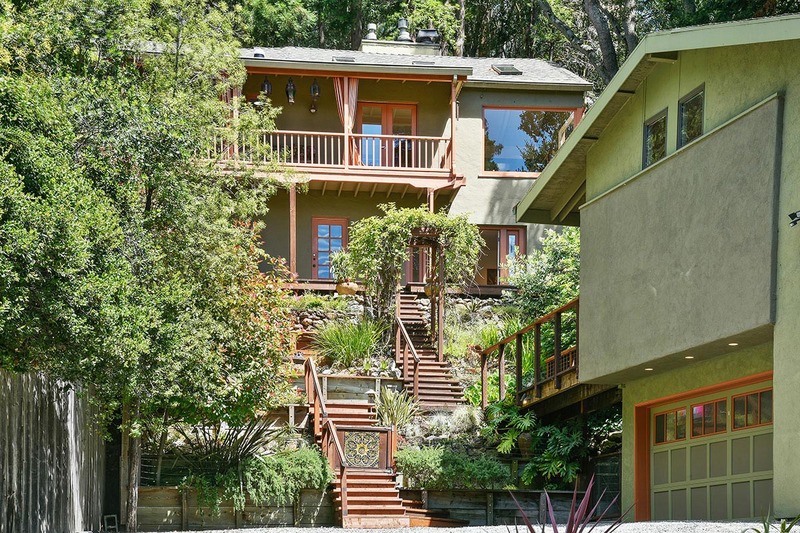 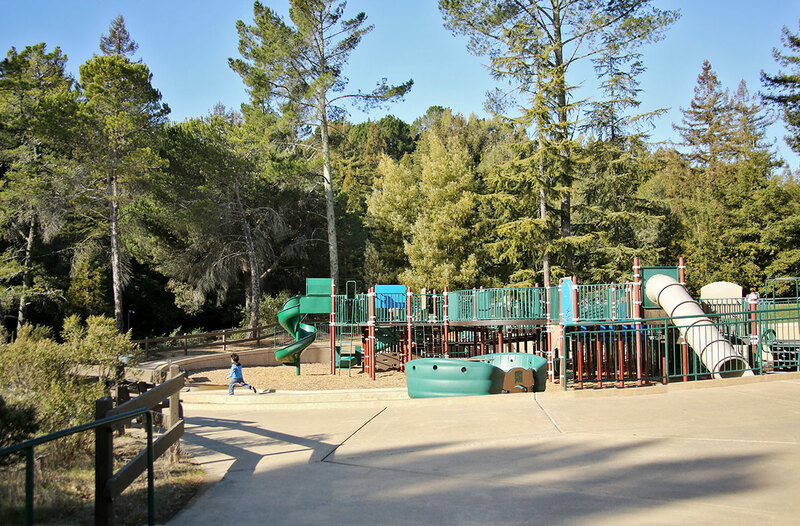 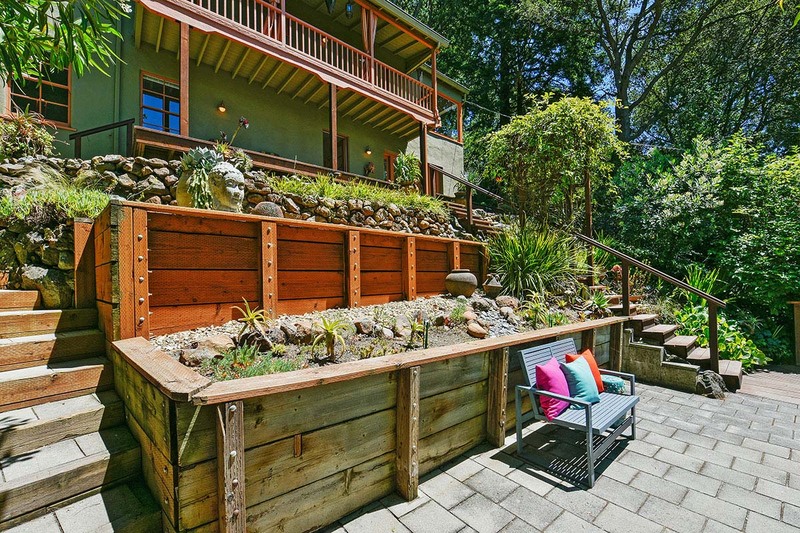 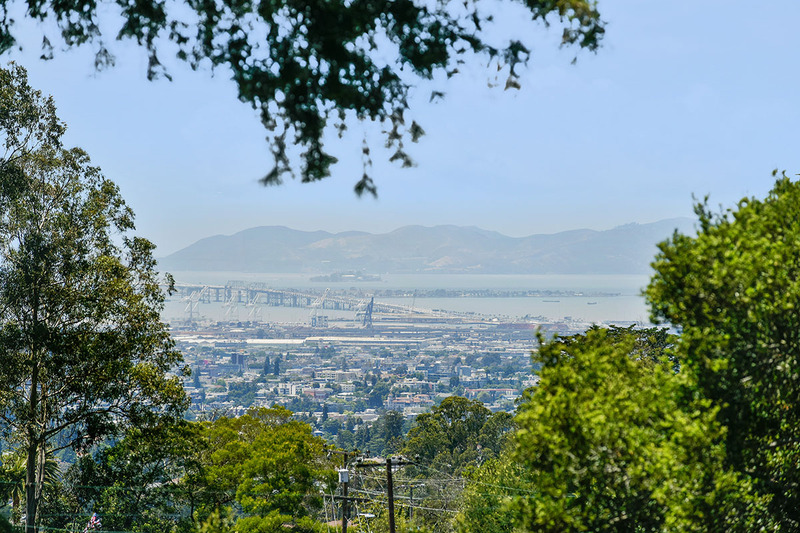 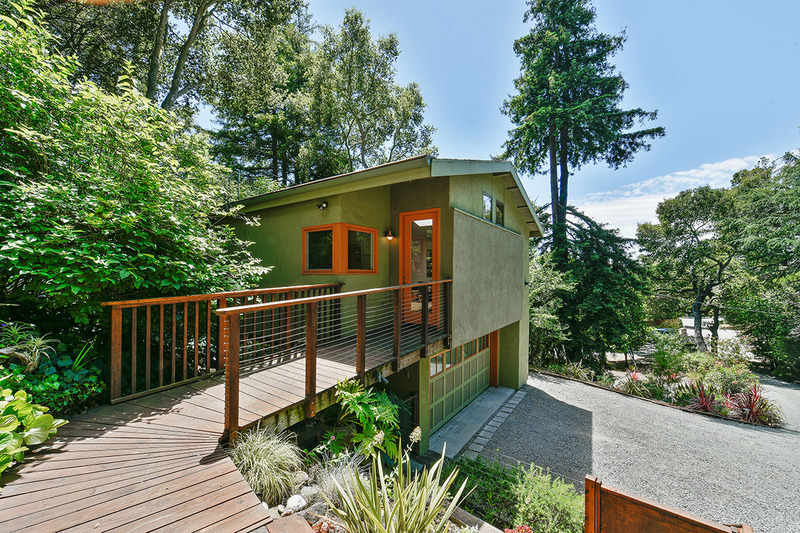 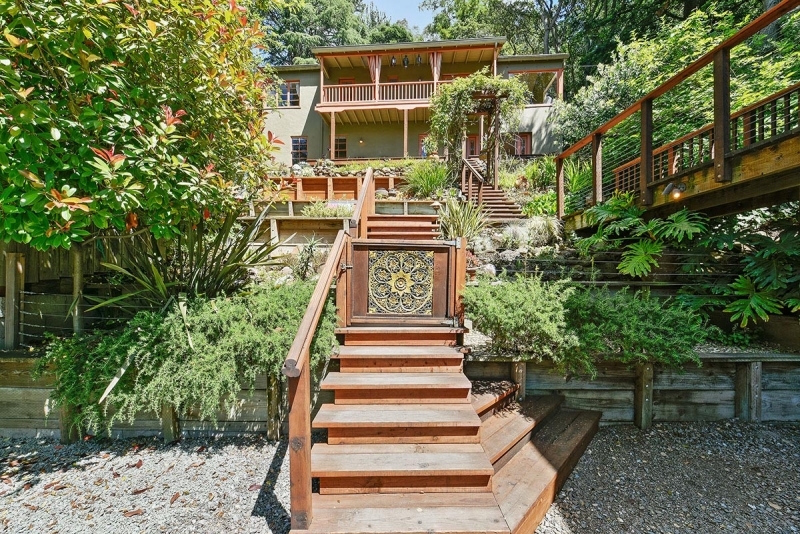 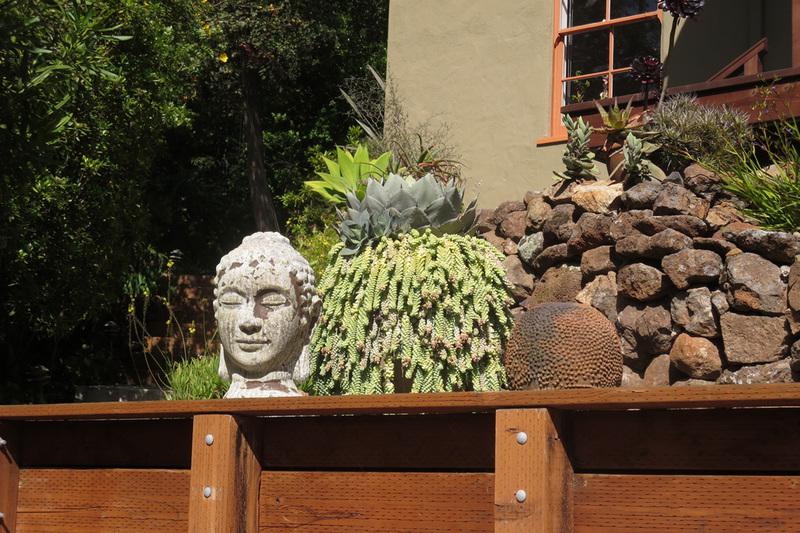 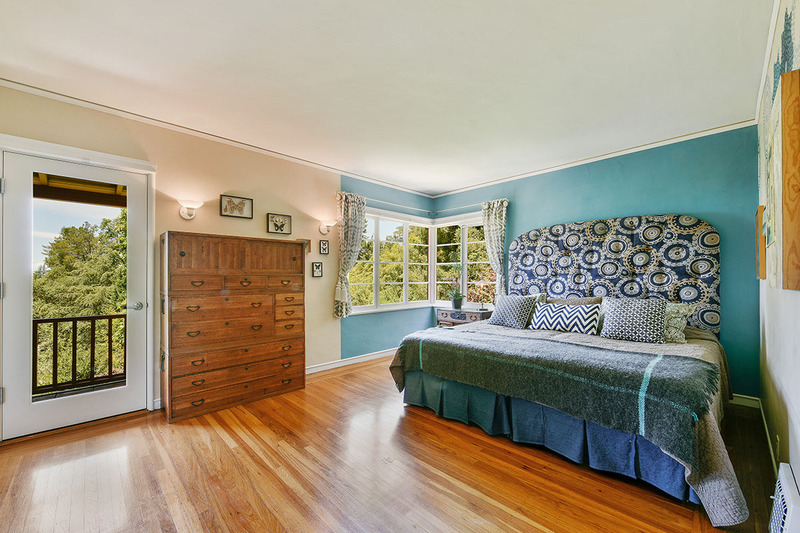 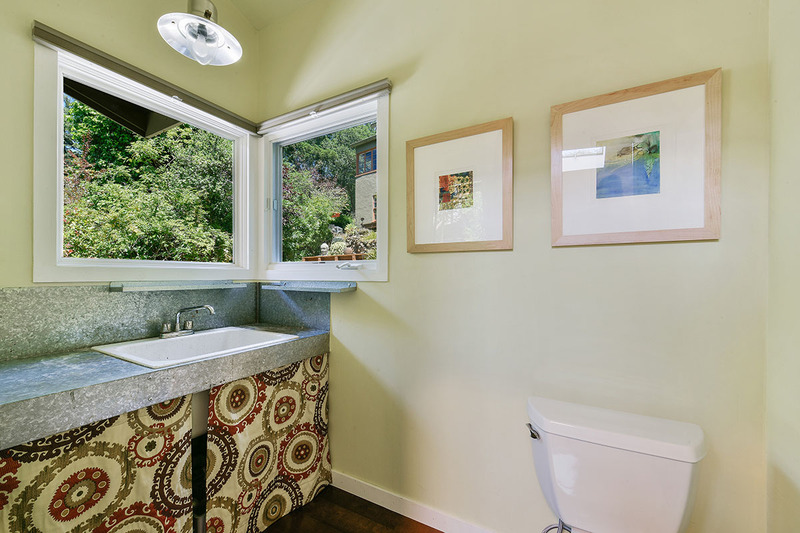 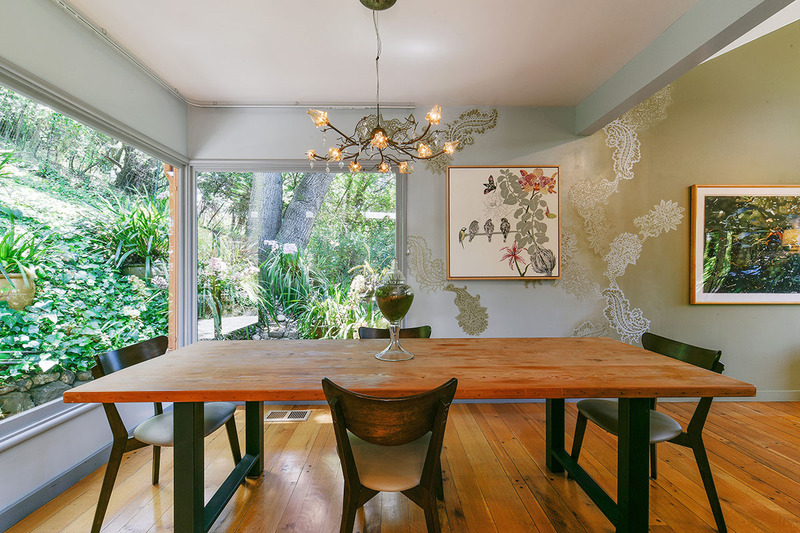 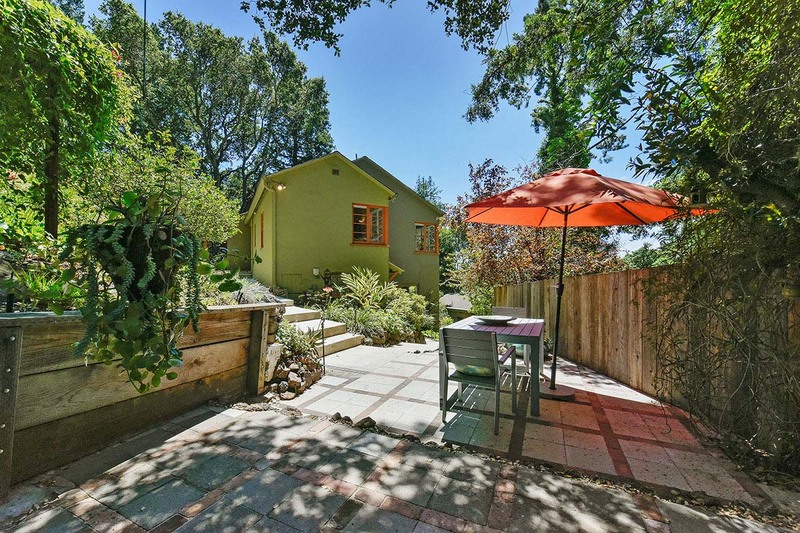 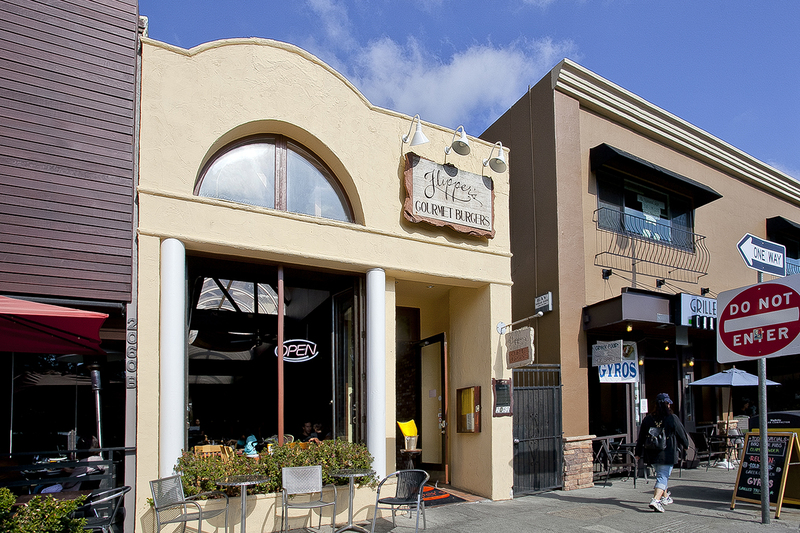 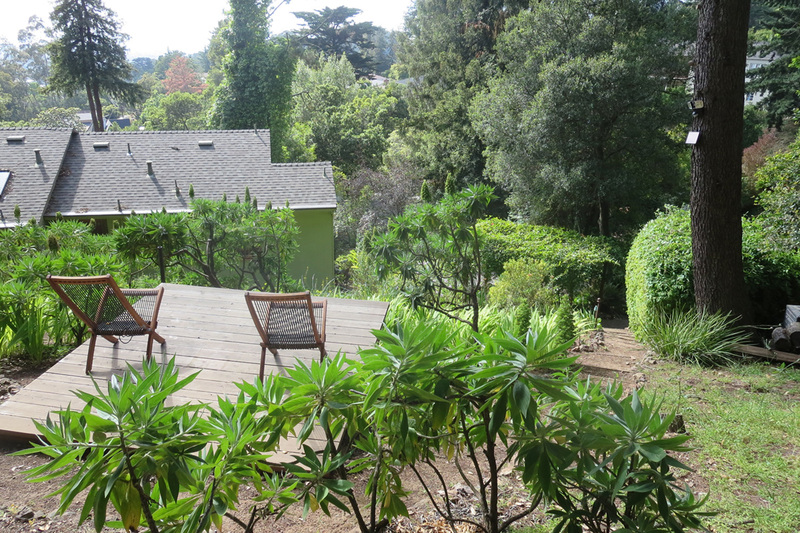 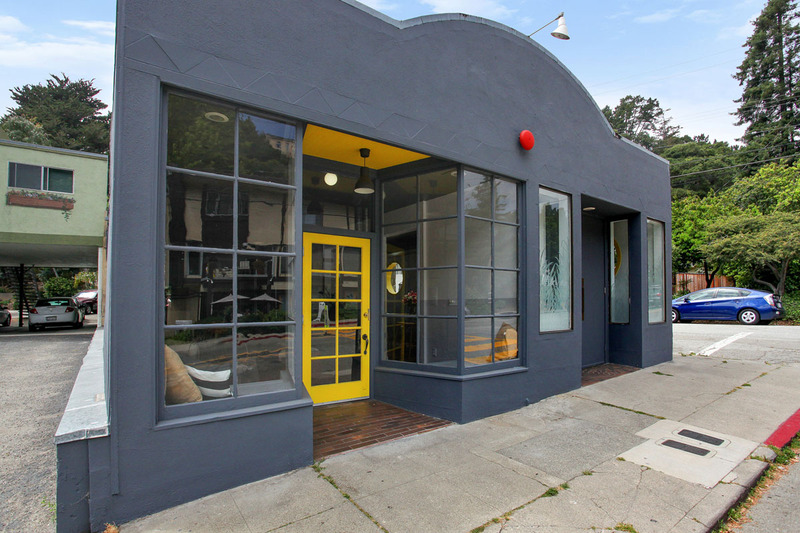 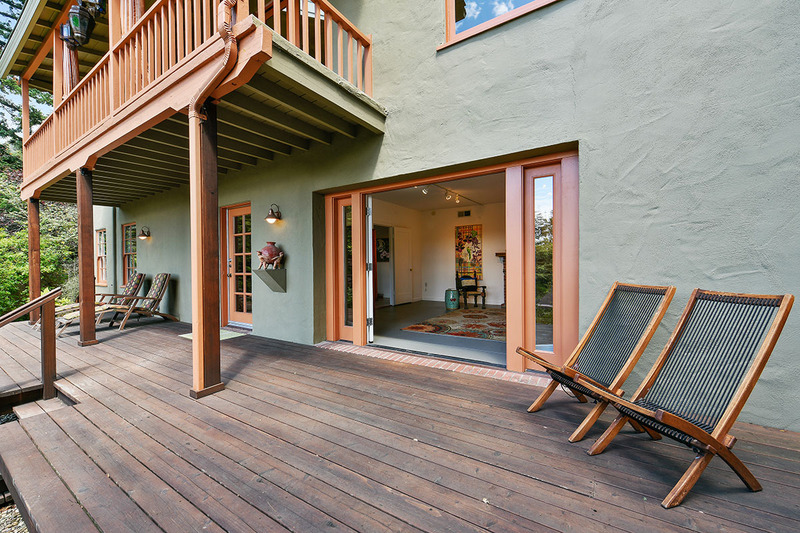 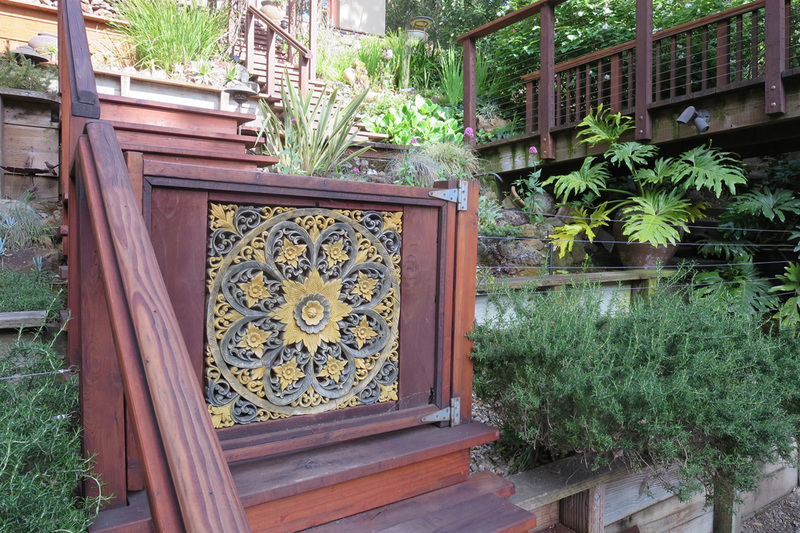 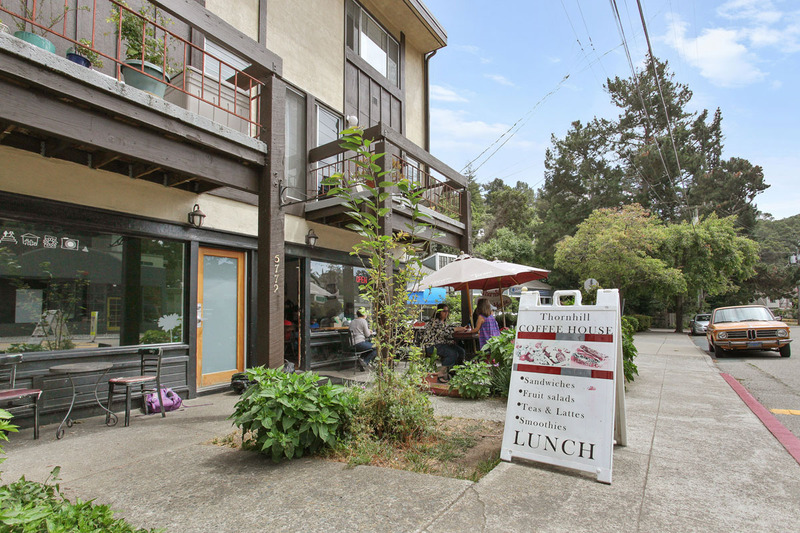 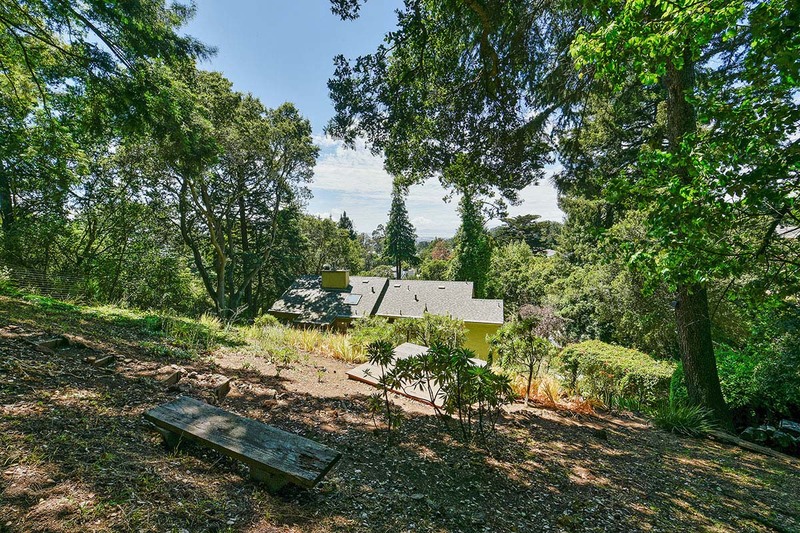 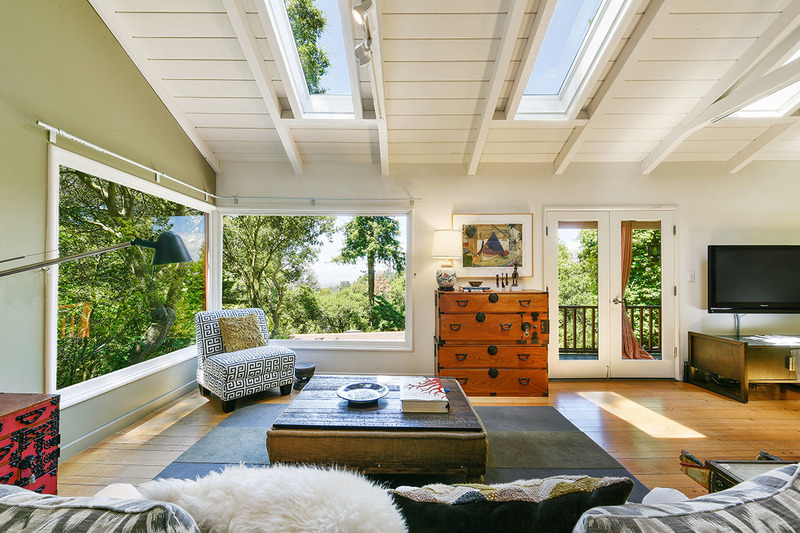 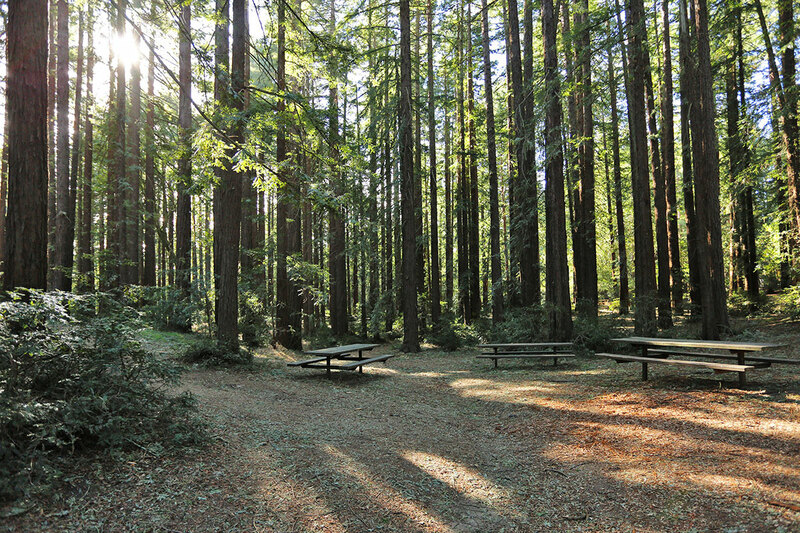 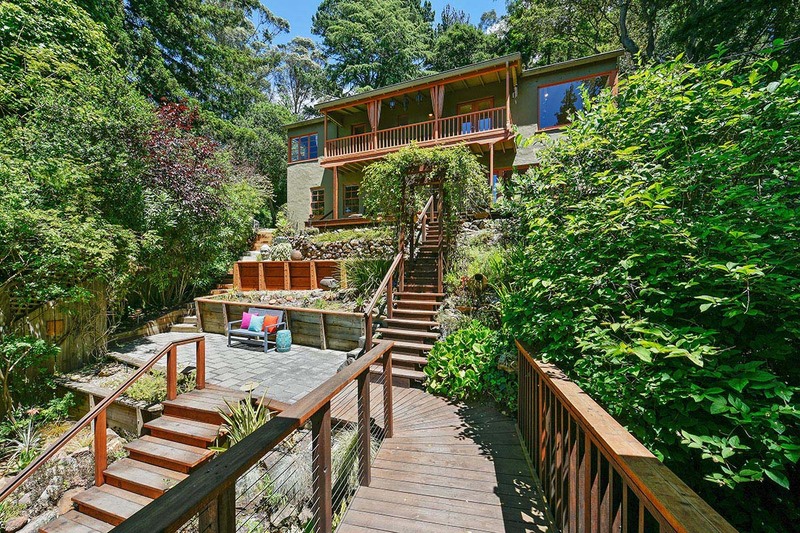 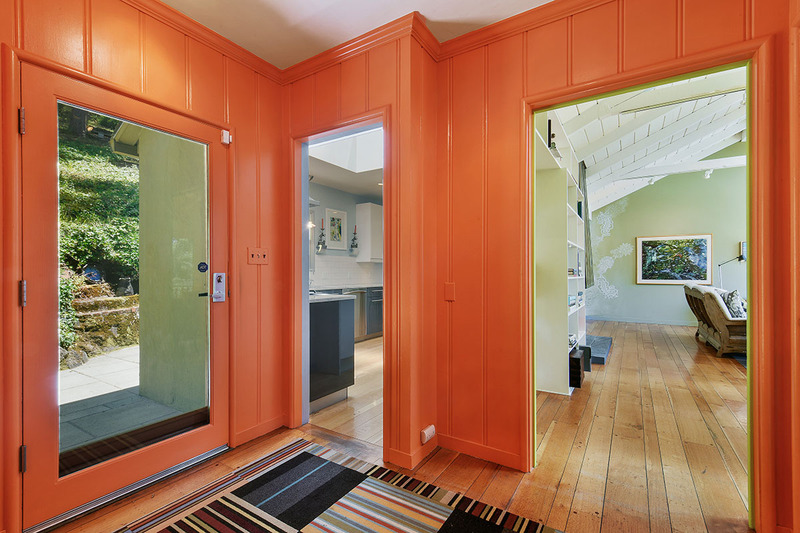 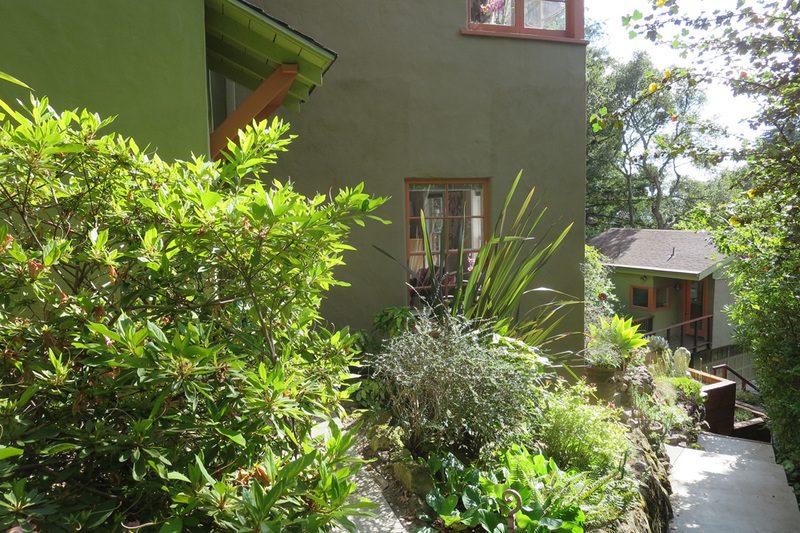 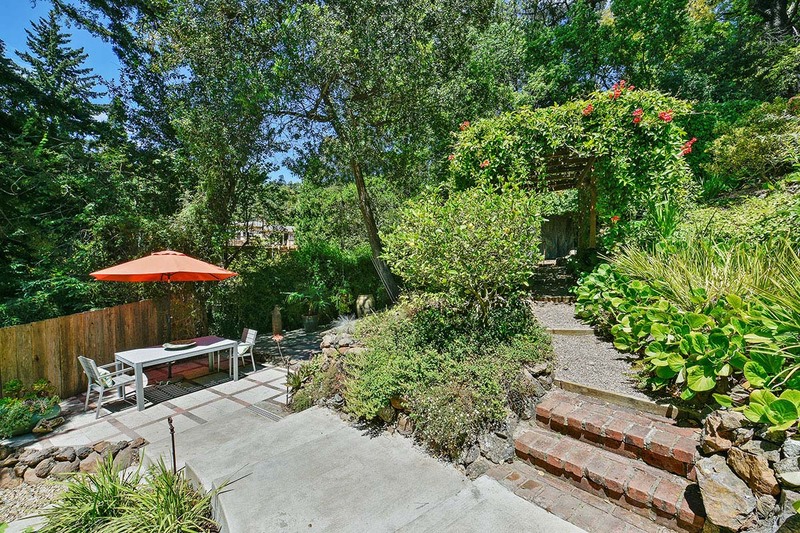 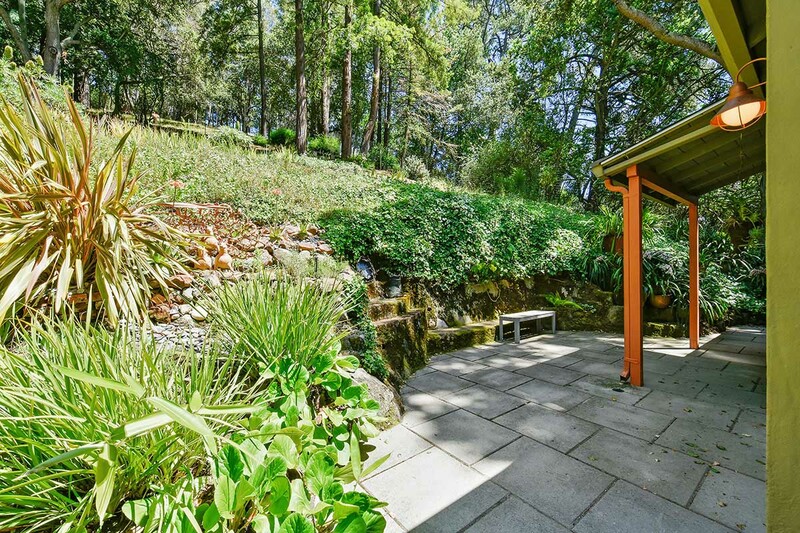 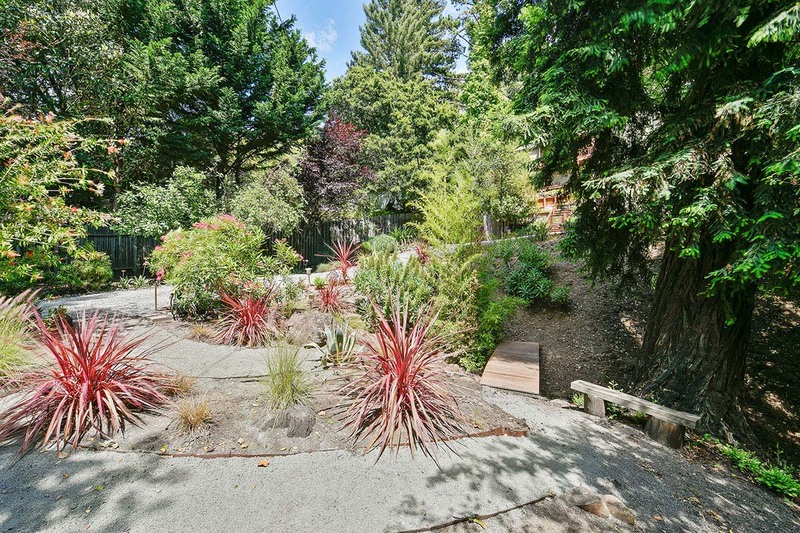 Ideally located near Joaquin Miller Park and Butter's Canyon for hiking and biking. 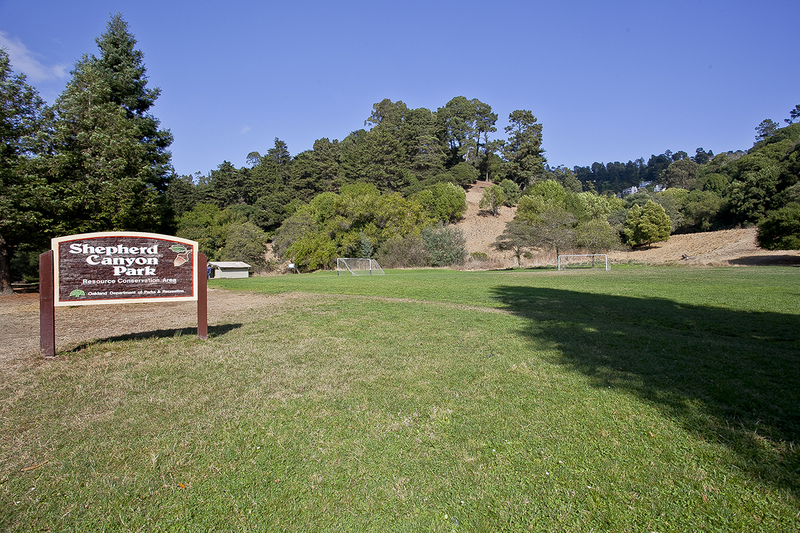 The Oakland Hills Tennis club and Redwood Regional Park trails are minutes away. 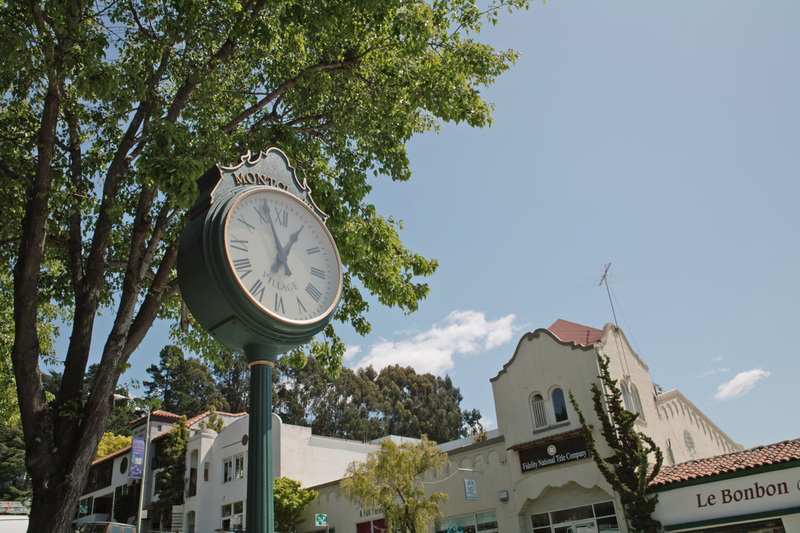 Montclair village with its own Farmer's Market is just along the road and commute options include the Express City Bus, carpool or your freeway on-ramp a quarter mile downhill. 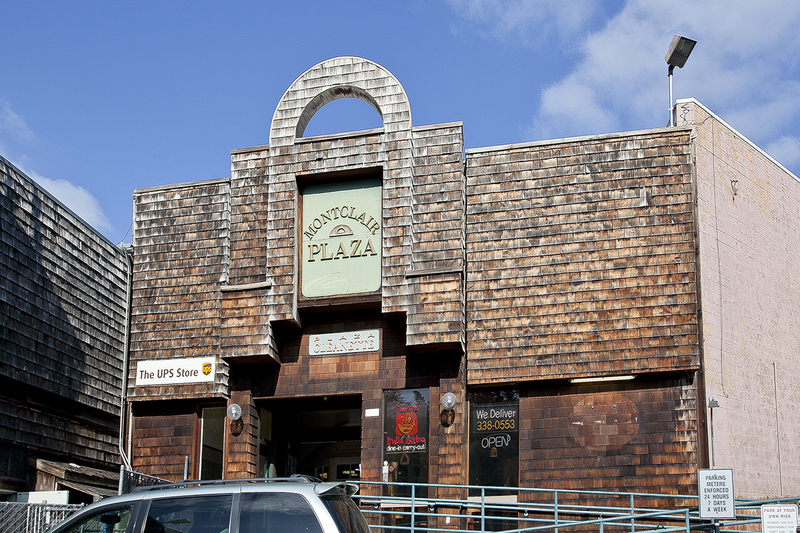 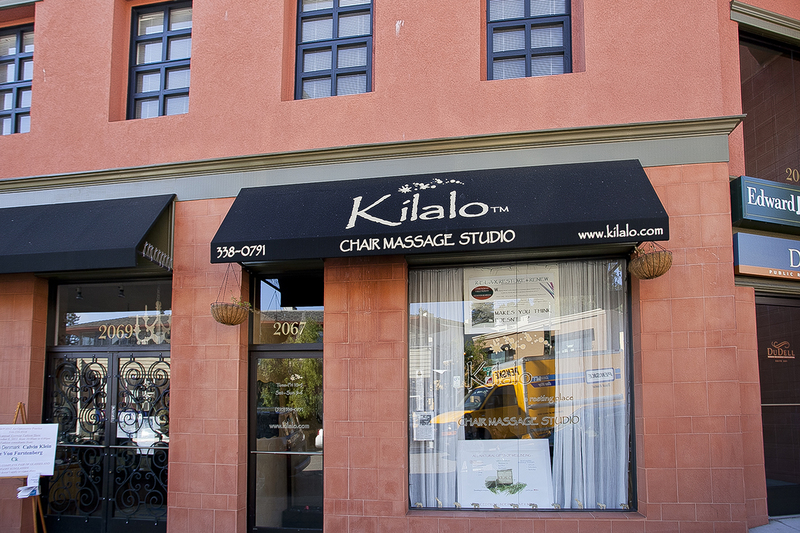 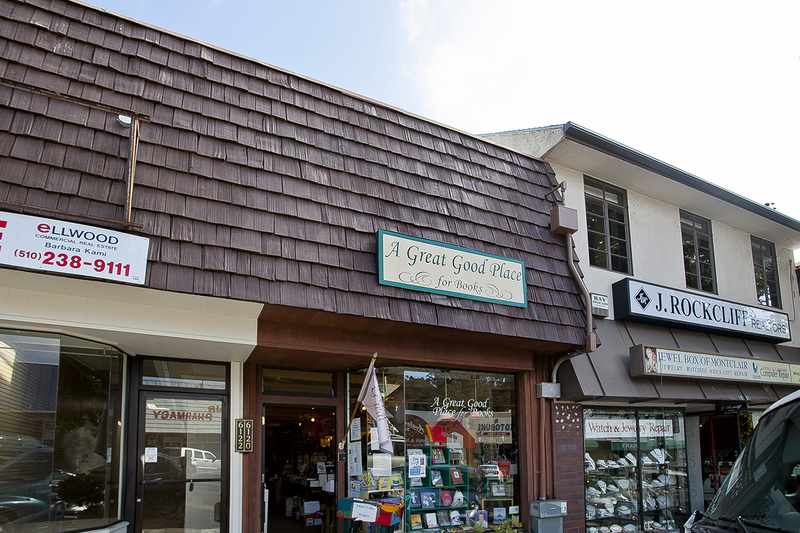 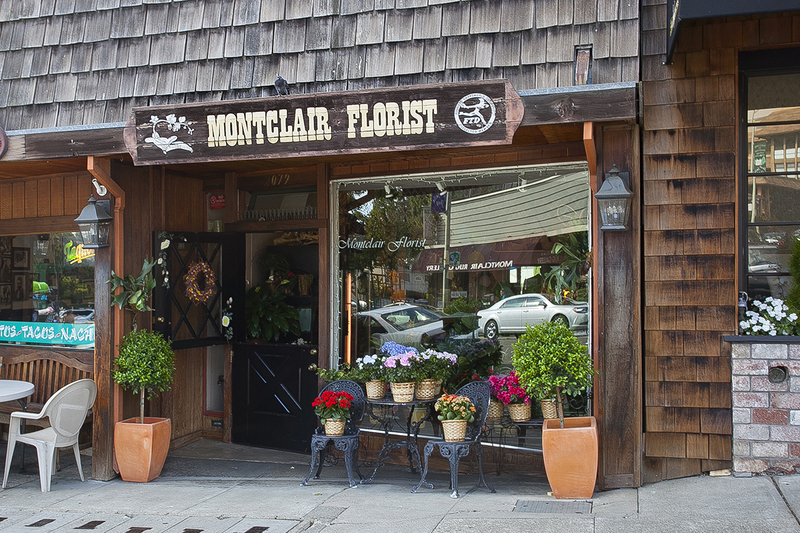 The Montclair Business District is a throwback to a simpler time before strip malls, megamalls, and big-box stores. 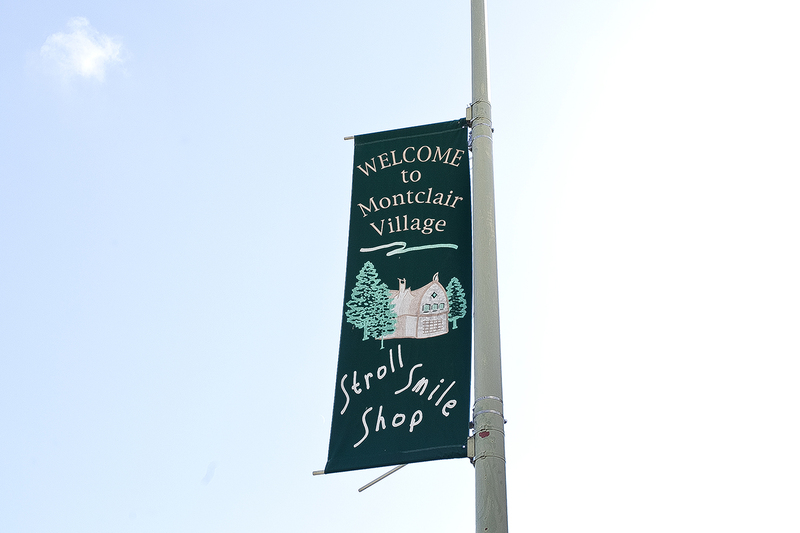 Residents can find everything they need, from dry cleaning and groceries to restaurants. 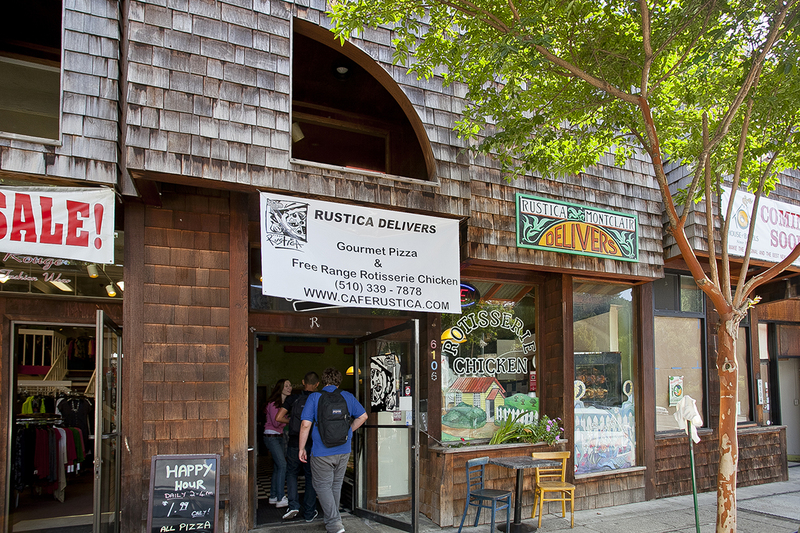 Local restaurant favorites include the Montclair Egg Shop, Kakui Sushi, and Italian Colors Ristaurante. 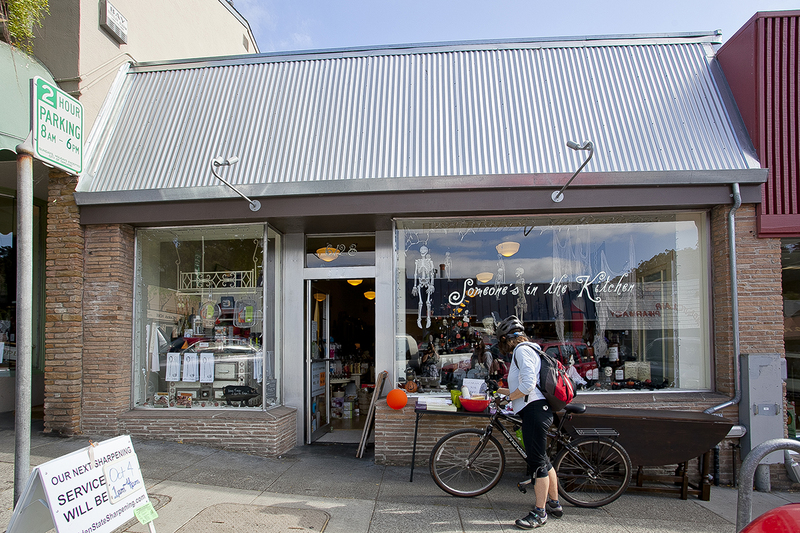 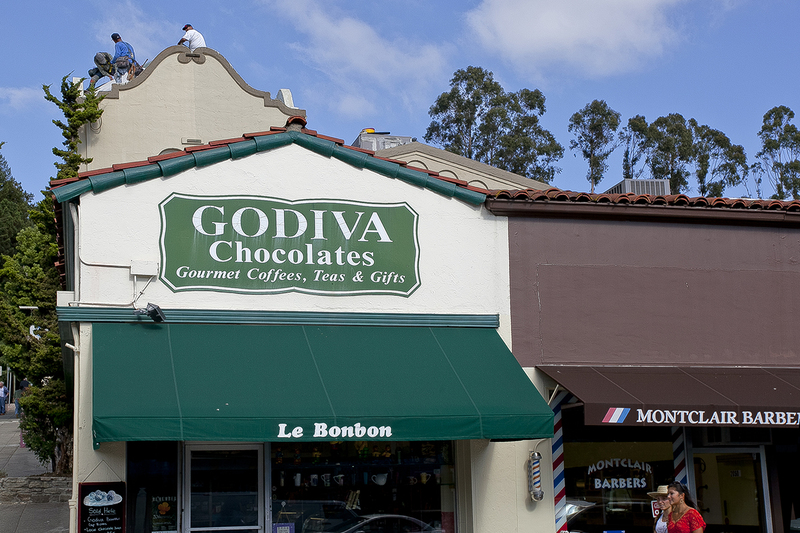 Gourmet specialty items are available at A.G. Ferrari, Le Bonbon, and Farmstead Wine and Cheese. 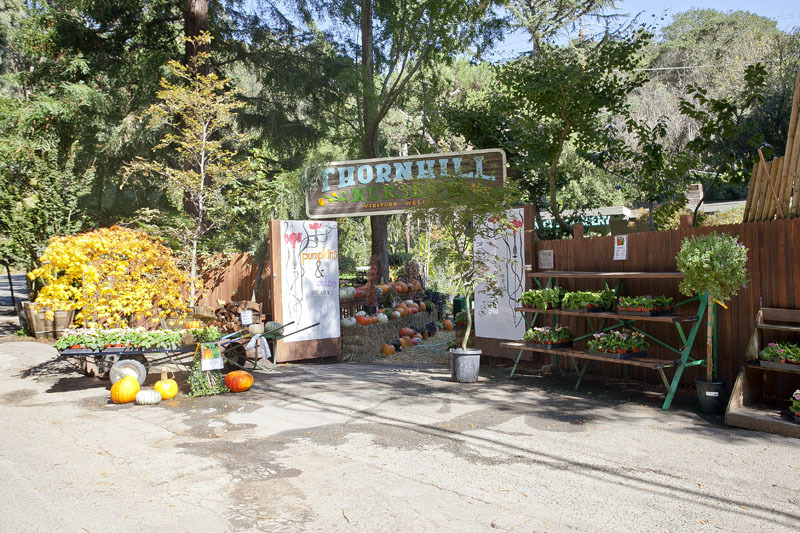 A farmers market on Sundays provides fresh local produce and baked goods. 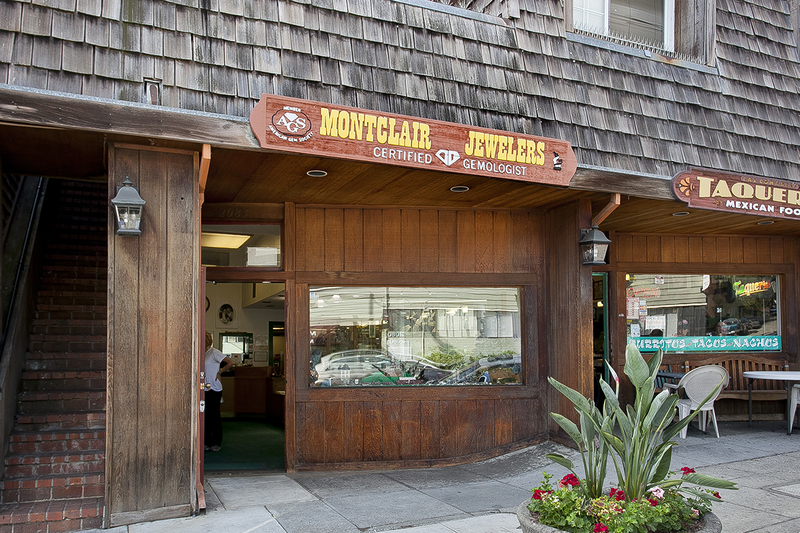 Montclair is home to fine-arts festivals throughout the year and a jazz festival in the late summer that enlivens the street scene.